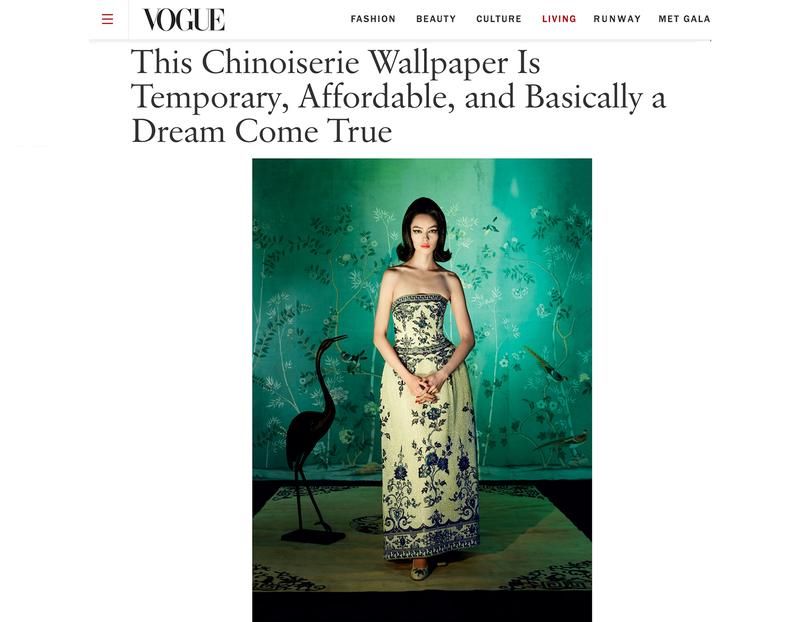 Congratulations to our Client Tempaper for their feature on Vogue! Many of the grandest, most enviable rooms have one thing in common: hand-painted chinoiserie wallpaper, often from the likes of Gracie or De Gournay. It’s a look that has enticed aesthetes for centuries but is often prohibitively expensive, and time-consuming, to install. But now Tempaper is launching a stunning new temporary chinoiserie wallpaper that might give some of the most beautiful traditional designs a run for their money. Installing and removing the paper is a snap—you just align the top of the paper with the top of your wall and smooth down with a squeegee. Chinoiserie-chic has never been so easy. Flowers, butterflies, birds and blossoms are all components of this beautiful Garden design. Timeless design meets state-of-the-art materials with Chinoiserie by Tempaper. Check them out at tempaperdesigns.com!